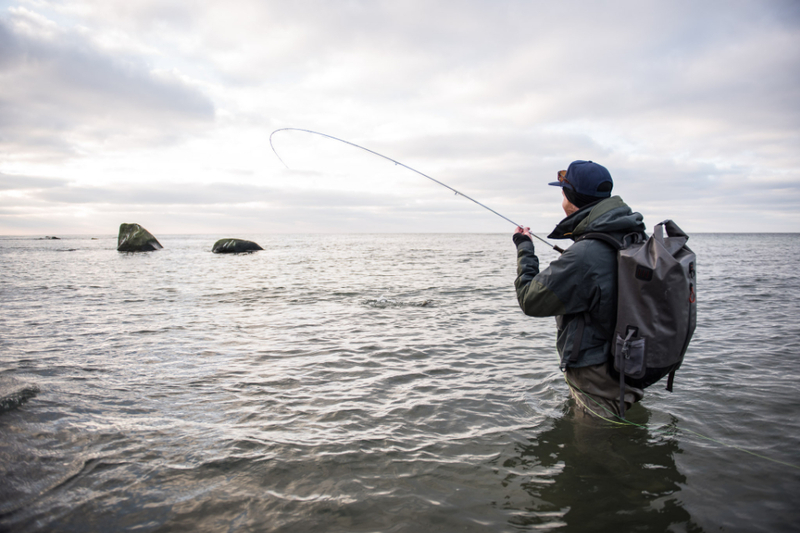 "Bornholm has 158 km of coast to fish all year round. 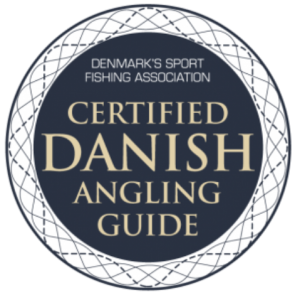 Here, in Denmark's best sea trout destinations, you’ll always find nice conditions, regardless of the weather or season, if you know where to go". 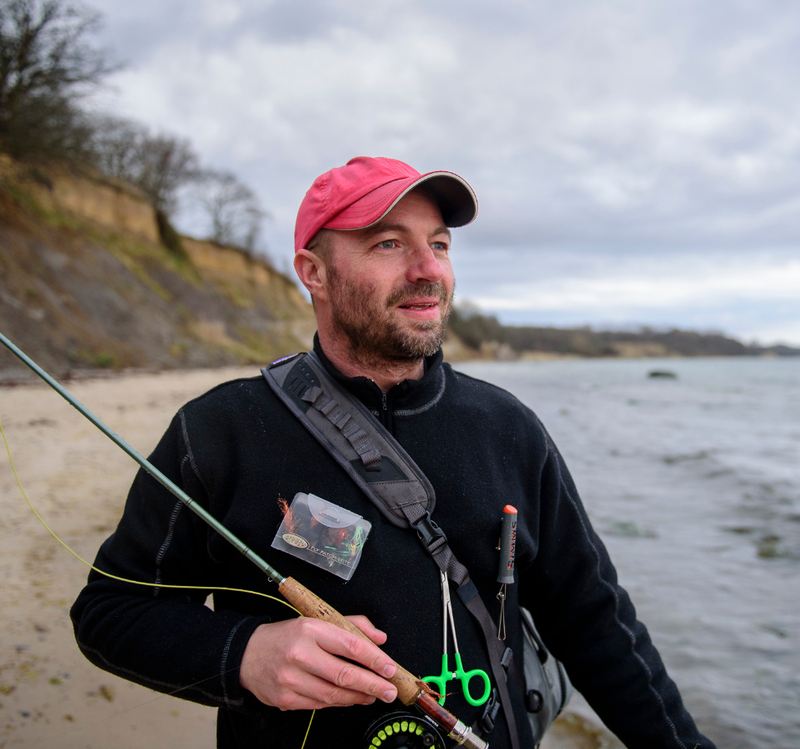 Sea trout fishing off Bornholm is world-famous thanks to a unique, reproducing trout species. The most eastern point in Denmark, the island, with its rough, unspoilt and rugged nature, is a great place to stay. Fishing for trout can be a difficult challenge, however understanding the fish, along with good local knowledge, are factors positively affecting your angling success. Three key areas for success on the coast are choosing the right place, implementing the right strategy and having the right technique. 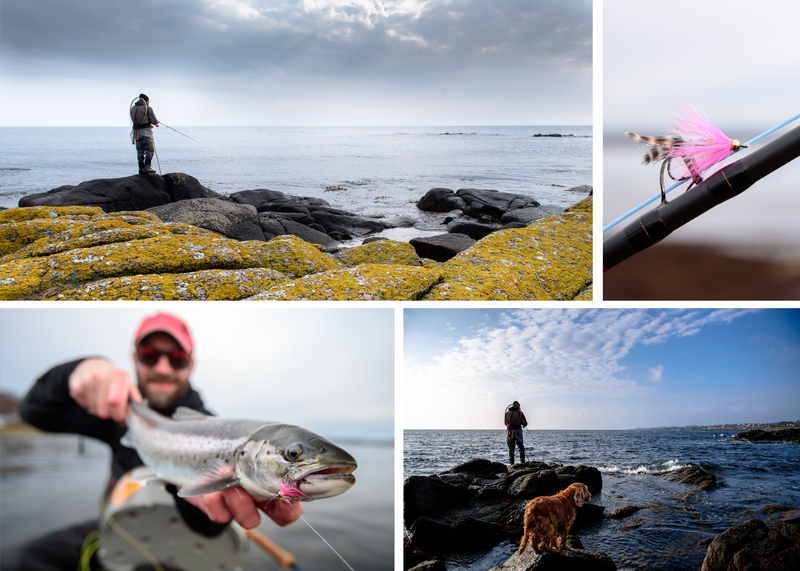 To avoid spending your precious fishing time in vain, the Bornholm fishing guide recommends maximizing return on investment and booking a guide. This will ensure you have access to necessary knowledge required for a successful fishing trip and natural experience. You’ll be well prepared and equipped for your days fishing on the coast. Born and bred on Bornholm, I have fished all my life. My early childhood years were spent fishing in lakes, later spending many hours at sea fishing with my grandfather in his little red dinghy.  Ten years ago, I started fishing off the coast for Bornholm sea trout, and found my call in life. I love to fish and share the joy of it when fishing with others. I search constantly for new fishing spots, spend time fishing, walking around, and talking to other anglers. This means I always have my finger on the pulse in terms of ​​where good fishing is to be had. 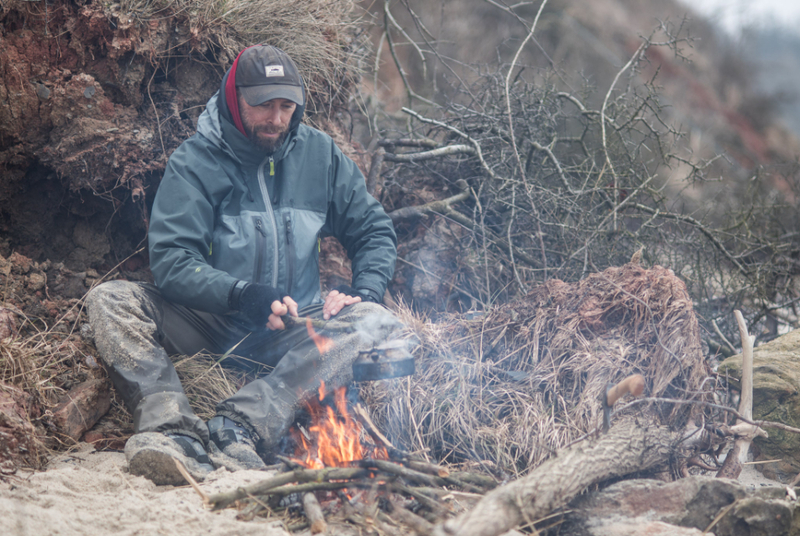 I’ll do everything I can to provide a great fishing experience, respecting the weather and seasons, planning the trip, and perhaps another fishing trip the next day. 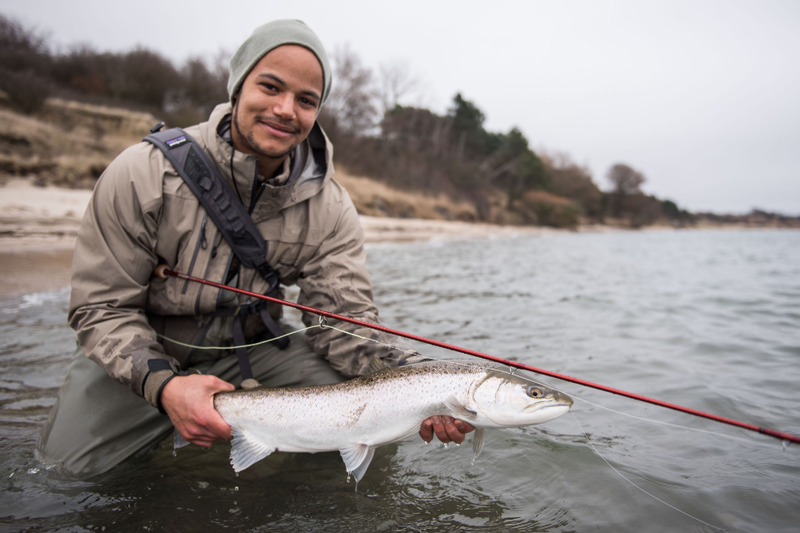 Looking to go trout fishing off the coast of Bornholm? Then book a trip with me! I speak Danish and English. I can teach/support fishing visitors with fly and/or spin fishing all year. I have many years of practical experience in fishing for sea trout off the coast of Bornholm. I love to fish and therefore show great respect and treat the fish and our fragile nature, gently I advocate sustainable behaviour and practice "catch and release" techniques. Remember: I will do everything i can to ensure a great trout fishing experience. Therefore, it’s critical to be honest with the guide about your experience as a fisherperson. The better the I know you, the more tailored your trip will be to your wishes and needs, thus ensuring the best fishing day/s together. I can teach/support fishing visitor with fly and/or spin fishing all year. I has many years of practical experience in fishing for sea trout off the coast of Bornholm. I loves to fish and therefore shows great respect and treats the fish and our fragile nature, gently I advocates sustainable behaviour and practices "catch and release" techniques. Remember: I will do everything i can to ensure a great trout fishing experience. Therefore, it’s critical to be honest with the guide about your experience as a fisherperson. The better the I knows you, the more tailored your trip will be to your wishes and needs, thus ensuring the best fishing day/s together. "Payment for guided tours is settled in Danish Kroner as a bank transfer upon booking". Transport to fishing sites is the responsibility of the participant/s. Cancellation is possible prior to the trip being confirmed by the Bornholm Fishing Guide. Once the trip is confirmed and payment is made, cancellation is not possible. No refund will be made in the event of non-attendance. The Fishing Guide reserves the right to cancel the trip in cases of illness, inclement weather or other unforeseen events. In these cases, the full amount will be refunded. 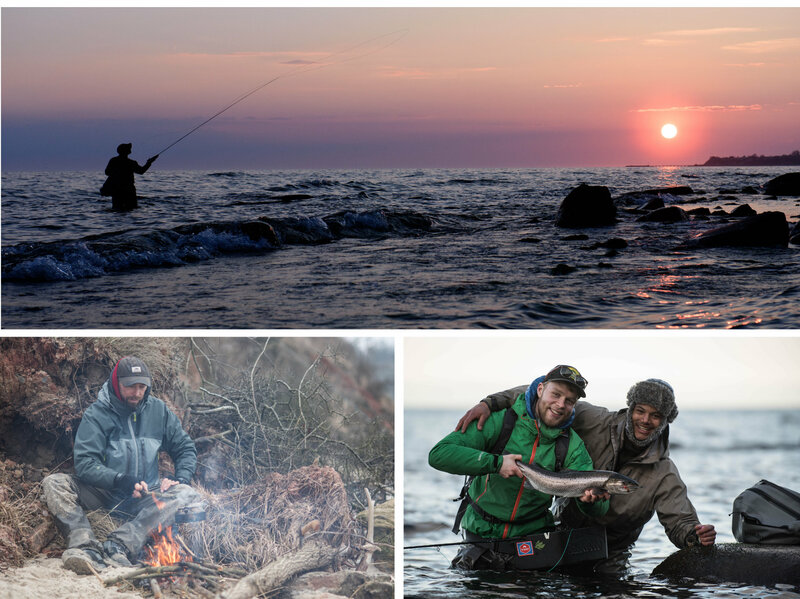 "Bornholm delivers beautiful framing for stunning fly fishing videos! You can even book a professional cinematographer, to immortalize your own fishing adventures". - 8-hours professional fishing guidance. -Food and coffee prepared over an open fire. -2-3 minute video including choice and purchase of music, editing, color coding and sound design. - We'll make your day by the water into a short film. You, the sea, the beach and hopefully the fish you catch will play the leading roles. 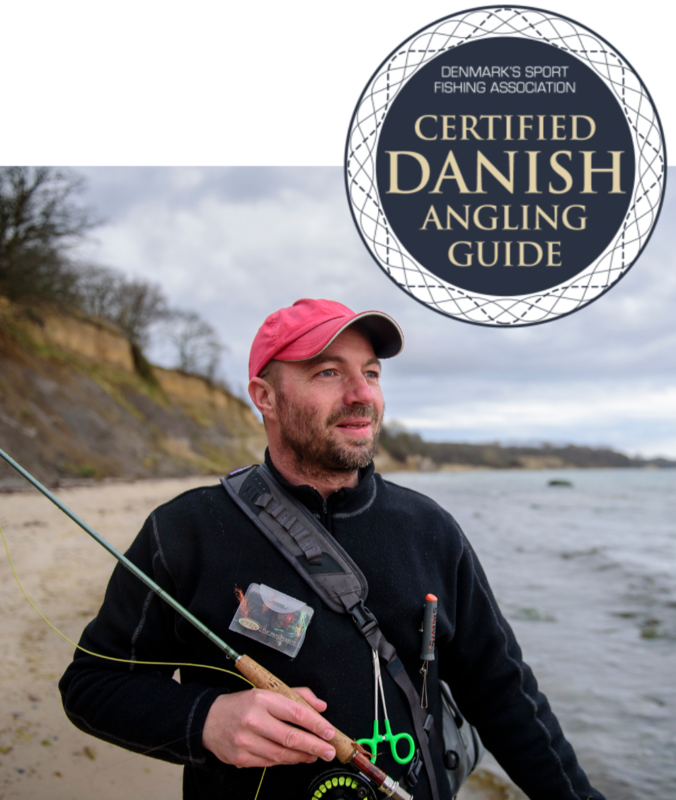 - Danish video producer and angler Mats Schroeter will join you on your fishing day with his professional camera equipment to record an unforgettable experience. 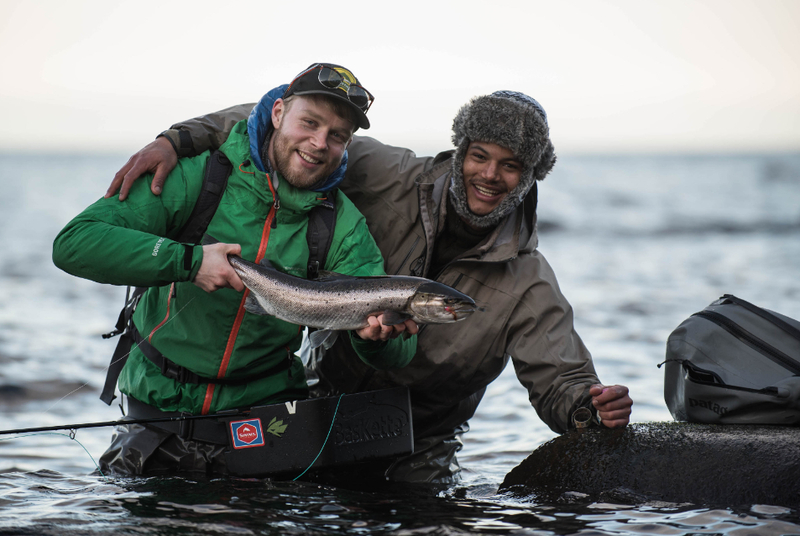 - In collaboration with Bjarke from bornholmfiskeguide.dk, your perfect fishing day is guaranteed – and includes food and coffee prepared on an open fire! - Approximately 2-3 minutes long, the video is produced in 4K quality and edited with the latest technology, music and sound design. - The video is delivered digitally, however, if not possible, it can be downloaded to a USB stick. - What a great idea for your own personal portrait as a true 'angler', or as a group event including. Do not hesitate to write for any kind of questions. I look forward to hearing from you. Tight lines!